My month of May flew by. Somehow the closer I get to my big race, the faster time is going. I wish it would slow down! Swim Totals- 13 miles. I had a swim focus week early in the month that was really enjoyable and an open water swim that helped me get more comfortable in open water as well as reassure me about going beyond the 1.2 mile distance in a swim. Bike Totals- 479.18 miles. A few long weekend rides really helped this number. My bike focus week was a big letdown because of my crash. Run Totals- 55.31 miles. This is the reason I’m really nervous for the run portion of my upcoming triathlon, I really should have gotten a lot more running miles in. My month was kind of a mixed bag. I had some workouts, particularly long bike rides during the month that were new challenges that I mostly held up to. The latter part of the month had some challenges I’d like to have skipped: a nasty cold, my first rib out of alignment causing some shoulder pain and my first crash on my bike (Dogs and bikes don’t mix…). These all caused some missed and shortened workouts that have left me feeling less prepared than I’d like to. When a dog runs into your front wheel. 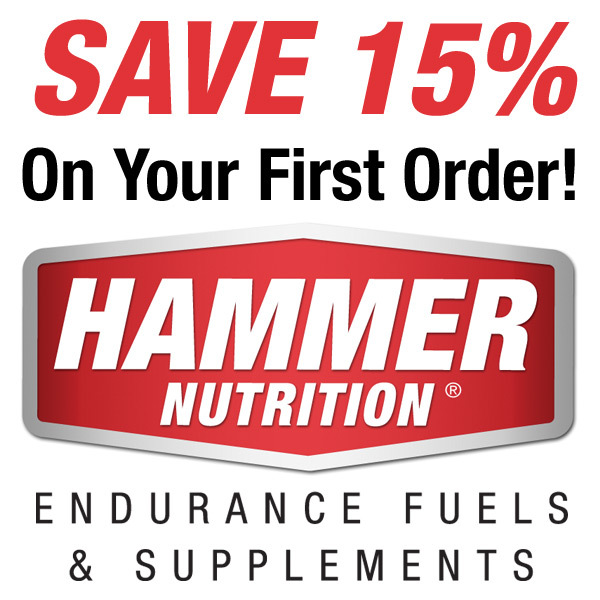 Favorite Nutrition- I’m really loving Hammer Perpetuem on my long bike rides. The orange vanilla flavor is really yummy without being too sweet and it really helps to keep my energy up. Favorite Gear- I got some Oiselle strider shorts back in January and have been absolutely loving these for long runs the last couple months. SO comfortable! Favorite Snack- I’m hooked on avocados lately. Of course guacamole is always good, but even if I don’t have that, just slicing up an avocado for an afternoon snack is quick, easy and keeps me from eating the entire kitchen. Favorite Workout- I have to go with a long brick workout from this month. I got to do my first Open Water swim in a non race setting, got almost 2 miles in there, followed by an 82 mile bike. All this was done with some friends from my local tri club so I was never suffering alone. Although the return portion of the bike was really windy and I’m rather horrible in windy conditions, it was still a good workout that wins as my favorite for the month. Open water swimming! So fun. A photo op I couldn’t pass up. Favorite family time- Ironman training requires a huge commitment of time and energy. Although I try to keep it from interfering with family life as much as possible, the reality is that it does sometimes. My favorite moments this month were when my kids expressed interest in joining in on some of the same activities. My 11 year old daughter completed an 18 mile road ride with me, my 8 year old son and I biked to school one morning and my son has run with me for a mile at a time multiple days as part of the Runner’s World Run Streak #rwrunstreak challenge. Favorite side effect- Obnoxious tanlines. I’m really torn on whether I love or hate this part of triathlon training, but I’ve got all sorts of weird tanlines going on and it’s only the beginning of June! It did present a problem on a rare occasion where I was trying to dress up this month. The months are flying by. Now that I’m out of school, I’m hoping to really up the training and not have any more of the setbacks that plagued the second half of my month. Do you ever really feel ready? Excellent month, despite a few set backs!! I haven’t looked at Hammer’s Perpetuem formula lately, but in 2011, the formula did not have salt/electrolytes in it. Be sure you are getting those electrolytes in your system. This was a MAJOR fail for me at my first Ironman as hyponatremia set in. Yes, I made the same mistake with Perpetuem on my first 100 mile bike, have since added in Electrolyte capsules each hour and it went much better the last long bike. There’s so much trial and error to these long workouts, I feel like it will take forever to really have it nailed down!